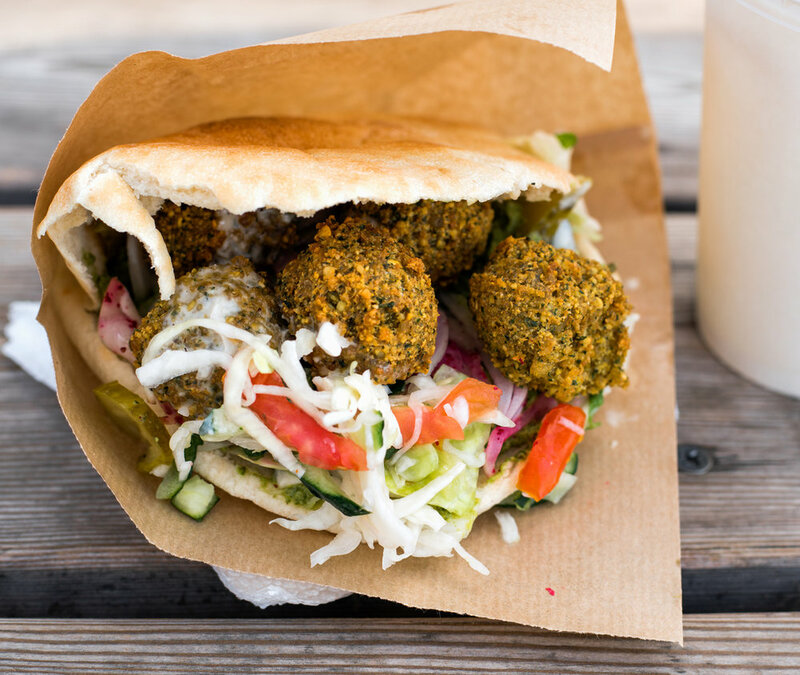 A new street food concept taking inspiration from Middle Eastern street food. Modern and cosmopolitan yet with an emphasis on wholesome ethically produced gourmet fast food. Welcome to the world of Shawarma Karma. Shawarma Karma is a gourmet franchise concept that sought to move away from the 'one size fits all' mentality that most fast food businesses were moving towards. People’s expectations of fast food are changing, with consumers increasingly looking for high quality gourmet fast food. With the increasing pace of everyday life consumers demand more in relation to the fast food they want to eat and are craving high quality food which is innovative, fresh, tasty, relatively inexpensive and of course, fast. As the demand for gourmet fast food grows, so does the number of outlets offering such food. From street food vendors, to fast food chains, it seems the food-to-go/quick service restaurant sector are raising their game to draw in customers. Gourmet fast food is becoming increasingly trendy as it’s a way to replicate gourmet street food experiences from around the world in a readily available, ready-to-eat format. With that in mind we created the name, branding and interior concepts for Shawarma Karma. Based on the idea that the food should both be ethically produced and wholesome. Shawarma Karma are currently in discussions with a view to opening branches in key sites across the South East of England.